East Garston at War - Village Life. January 1940 - East Garston Station was awarded 4th prize in the GWR (London Division) station garden competition. The station had won many awards over the years thanks to Mr. Tom Liddiard who oversaw the station and was a keen horticulturist. July 1942 - The death occurred of Mrs Sarah Waldron aged 86. She was the widow of Mr Joseph Waldron, a family butcher in Lambourn, who predeceased her by some 40 years. They had 13 children and 7 of their 8 sons fought at various phases in WWI. 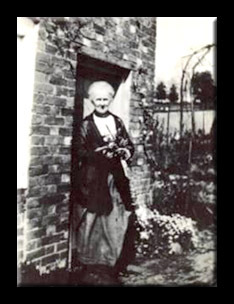 Mrs Waldron came to the village in the late 1890’s and ran it’s Post Office from “Greengates” for 17 years. July 1943 - The Goodings Estate comprising the Goodings, Parsonage Farm and Pounds Farm was sold to “Country Life"
January 1944 - A Christmas Party was given for the village school children in the Parish hall funded by the proceeds of a successful Social and various generous contributions. The hall and tables were attractively decorated but the greatest attraction was the Christmas tree hung with fairy lights. After finding surprise shillings under their plates, donated by Mrs Denton, the children played games organised by Miss Quelch and Miss Taylor. June 1944 - The death occurred of the Reverend Morgan William Thomas, Vicar of East Garston. He was taken ill in his car in Goodings Lane and died before medical assistance could be summoned. November 1944 - L/Cpl Joe Maynard who had enlisted in the Royal Berkshire Regiment in April 1942 and transferred to the Royal Sussex Regiment a year later, received a severe face wound when his platoon was infiltrating behind Japanese lines in Northern Burma. 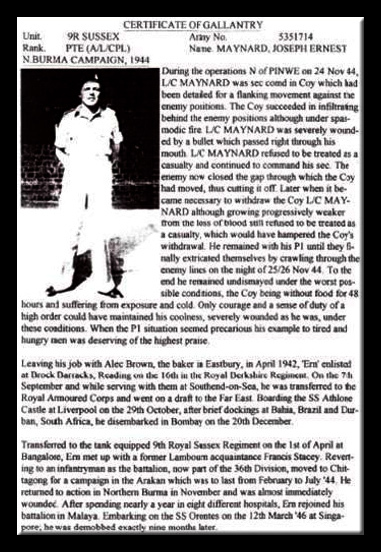 Although suffering from shock and bleeding badly he refused medical attention which would have slowed down the platoon’s progress. When his unit became surrounded he continued to fight and encouraged the men in his section until the Japanese were beaten off. After spending nearly a year in 8 different hospitals he rejoined his battalion now in Malaya before being demobbed at the end of 1946. Joe was awarded a Certificate of Gallantry. He was formerly employed by Mr A G Brown, baker and confectioner of Eastbury. In his later years Joe tended East Garston’s War Memorial. 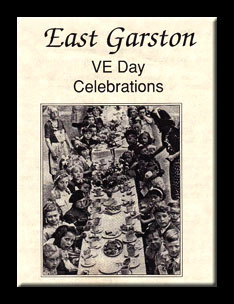 May 1945 - East Garston celebrated VE Day. A house to house collection raised about £52. There was Holy Communion and a children’s service at All Saint’s in the morning. Sports for children 14 and under were held in Mr Denton’s meadow in the afternoon. There were 23 races and 3 prizes for each event. A parade to the Church followed in the evening. An impromptu band led the procession followed by Girl Guides, Brownies, Cubs, the Home Guard, ARP and the NFS, with trailer, members of the Armed Services in uniform etc. Every seat in the church was occupied and some people had to stand. The Reverend West officiated and the collection was donated to St Thomas’s Hospital (London) rebuilding fund. Afterwards there was a tug of war competition in the meadow which attracted a large entry. In the village hall there was a social for the adults and a similar event for the children in "Baggers" barn. A large bonfire was lit at 10:00 pm around which people sang, danced and formed a cordon. The festivities continued until the early hours of the morning. Later that morning and again on the following day (Wednesday) a victory peal of bells was sounded from the tower of the church. August 1945 - American troops were the first in the district to hear that Victory had been gained over Japan. They descended on Newbury knocking up the residents at 1:00 am. The Vicar of Thatcham was the first to ring a victory peal - by himself. East Garston’s bells were soon to follow and a Thanksgiving service was held at All Saints Church with the Reverend West officiating.